The scheme is being rolled out across of all Lidl’s stores in England, Scotland and Wales. LIDL HAS CONFIRMED it won’t launch its £1.50 ‘Too Good To Waste’ fruit and vegetable boxes in Ireland. The supermarket last week announced that it was rolling out the scheme across all of its stores in England, Scotland and Wales following a successful trial. The boxes, priced at £1.50 for approximately 5kg, contain fruit and vegetables from the store shelves which have become slightly damaged, discoloured or deteriorated, but are still perfectly good to eat. They are put together daily by in-store staff and are available to customers from opening until midday, at which point any leftover boxes are given to local good causes through Lidl’s food redistribution programme ‘Feed It Back’. In the UK, Lidl launched a trial run of the scheme in August and gradually extended it to 122 stores. Through this trial, Lidl said it sold more than 50,000 boxes and prevented 250 tonnes of food going to waste. Lidl has confirmed to TheJournal.ie that is does not plan to roll out the Too Good To Waste fruit and vegetable boxes in Ireland. “Lidl GB and Lidl Ireland operate independently of each other so the same initiatives are not always applicable,” a spokesperson for Lidl Ireland said. The spokesperson did note, however, that Lidl Ireland and Northern Ireland currently has over 300 charities registered to collect food from it, which generates over 50,000 meals a month for people affected by food poverty. “This sees a significant reduction in food waste and gives a vital lifeline to charities in need of supply through our ‘Lidl Feed It Back’ programme,” the spokesperson said. Returning to look at the UK initiative, Lidl said the Too Good To Waste boxes are different from ‘wonky veg’ boxes sold by other supermarkets, as it says its initiative is “designed to reduce fruit and veg waste in store”. 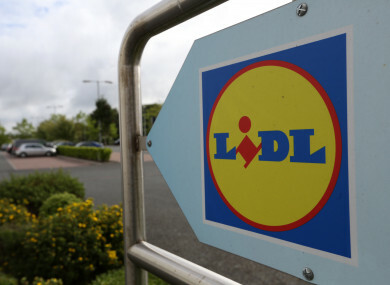 “Instead of pricing down produce that is considered ‘wonky’, Lidl works closely with its suppliers to ensure a degree of flexibility with specifications at different times of the year, to include items within its standard product lines,” Lidl said in a statement. Lidl GB CEO Christian Hartnagel said: “The really brilliant thing about this initiative is that, not only is it helping to tackle the highly important challenge of food waste, it’s also helping our customers make even more savings. However, as noted above, there are no plans to roll out the scheme in Ireland. Email “Lidl doesn't plan to launch its £1.50 damaged fruit and veg boxes in Ireland”. Feedback on “Lidl doesn't plan to launch its £1.50 damaged fruit and veg boxes in Ireland”.